We've Helped Hundreds Of Students, We Can Help You! Need Student Loan Debt Assistance? Get a FREE, NO OBLIGATION CONSULTATION and find out if a Consolidation of your Student Loans can help ! What Can SDC do for you? We are on your team and we will stay with you throughout each step of the process providing you with expert knowledge and unrivaled customer service. We are so confident in our process, that our processing services are backed by a 100% money back guarantee! Student Debt Consolidation (SDC) goal is to assist consumers in finding an effective solution to getting their outstanding student loans reduced to a manageable payment. 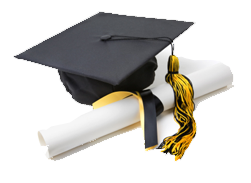 SDC mission is to educate and assist you to navigate through the complexity of student loan consolidation. There are a number of programs that offer a wide array of student loan consolidation solutions; many dependent on your wages, family size and/or any hardships within the household. SDC will help facilitate a consolidation of your federal student loans which can lower your monthly payment amount and help you avoid the consequences of default.